Amsterdam-based studio Graphic Surgery works across many genres and methods, but their constants are the use of black & white, and angular geometric abstract forms. They make and apply these images to their design work, public murals, installations and architecture too. 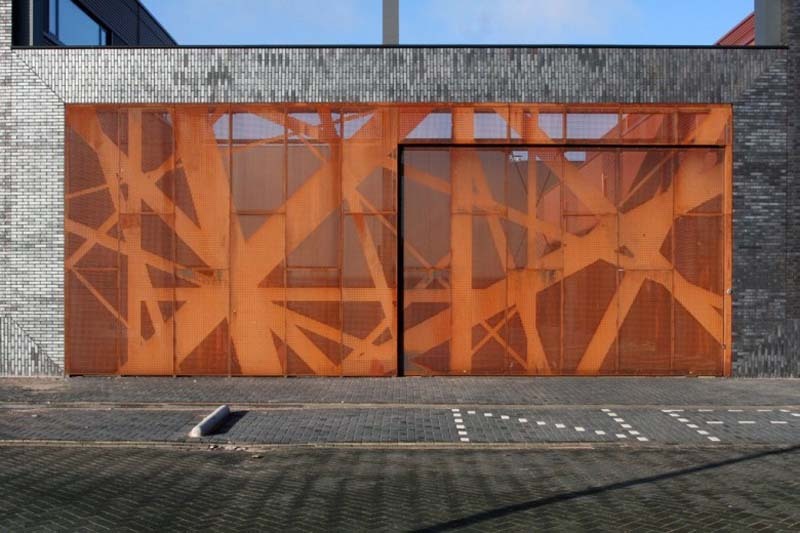 Their recent collaboration with Penta Architecten was a garage door/gate they refer to as Gateway. 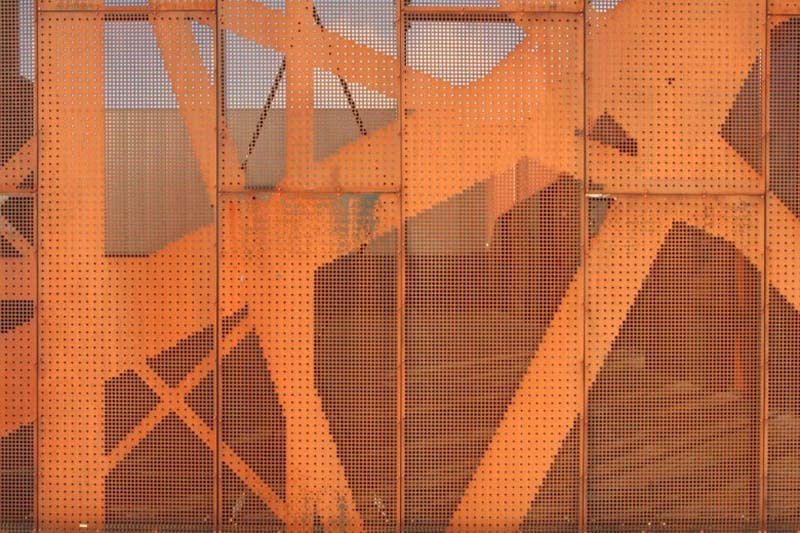 Using oxidized Corten steel and perforation this dramatic and very urban looking entrance was created. I personally like their work best integrated with architecture. The urban and constructivist look really adds tension and excitement to the structures. This entry was posted in Architecture, Art, Graphic Design, Street Art, Stuff We Like. Bookmark the permalink.